GREGORY MAUSOLEUM RESTORATION | Mathieu & Mitchell Ltd. 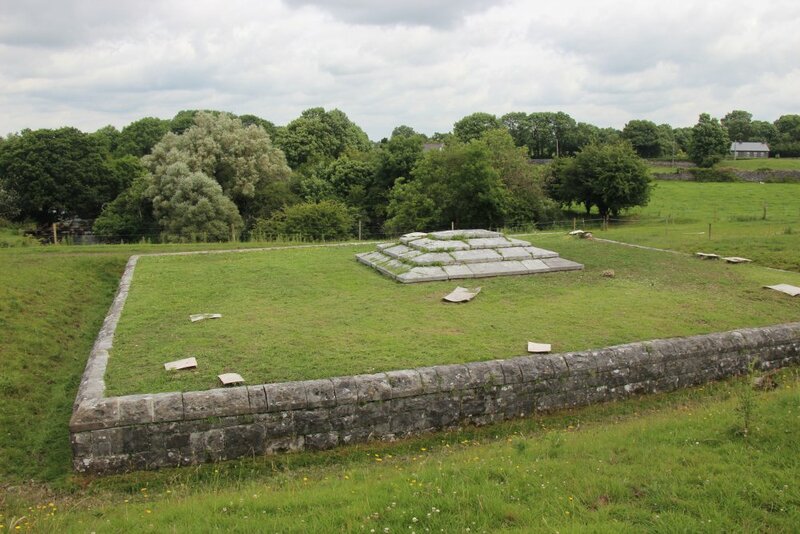 The Gregory mausoleum is located in a field behind St. Attractas Church, Kiltartan, Gort, Co. Galway and is the final resting place of Sir William Henry Gregory and his parents. Sir William’s wife Lady Augusta Gregory, the literary hostess and folklorist is buried in the New Cemetery, Bohermore, Co. Galway. 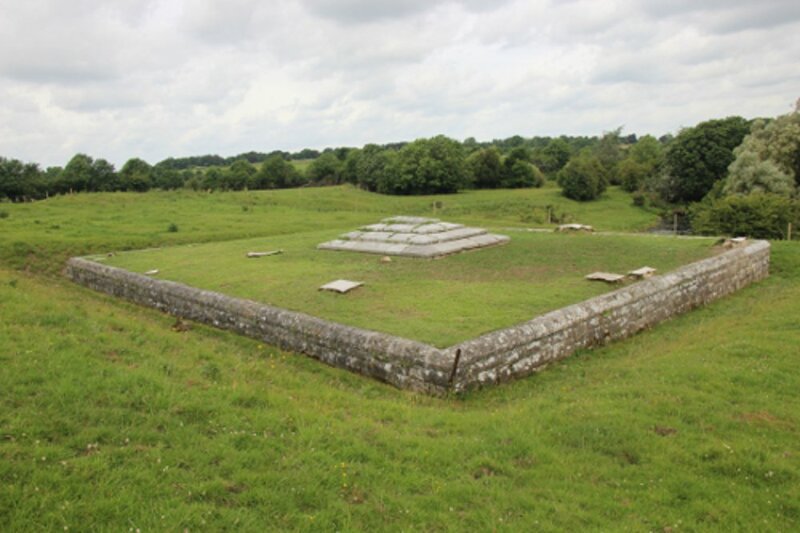 The enclosing walls of this mausoleum form a rectangle which measures 18.75m on the East and West sides and 21.9m on the North and South sides. In several places deep roots had entered the vault itself, while roots close to the perimeter walls had caused the masonry to bulge out. 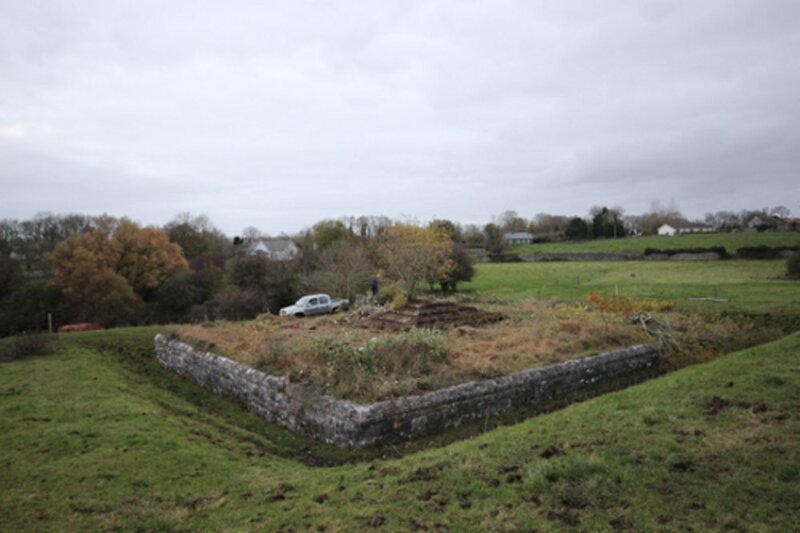 There were also saplings of willow, blackthorn and whitethorn bushes, gorse and other shrubby growth covering the area around the vault. 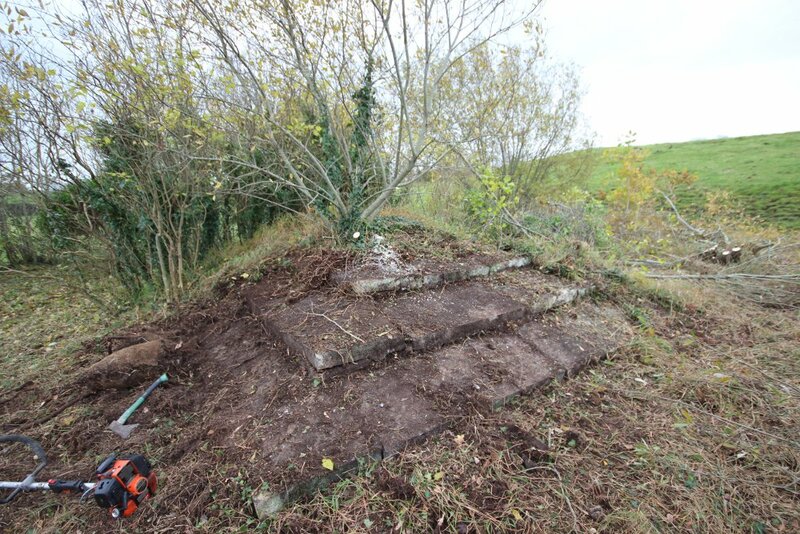 All trees, shrubs and small roots were removed using hand held tools and taken off site. 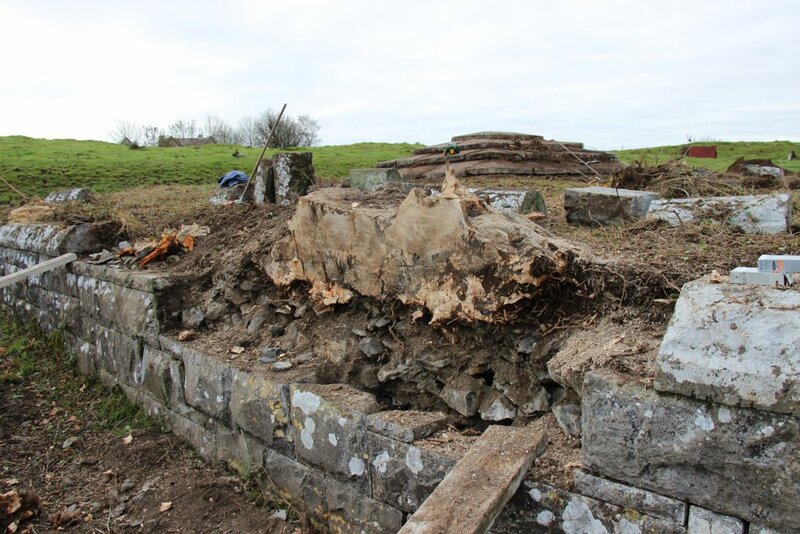 Larger roots were pared down and poisoned off in-situ as their complete removal would not have been possible without causing damage to the structures. The roots were drilled with an auger and filled with herbicide. 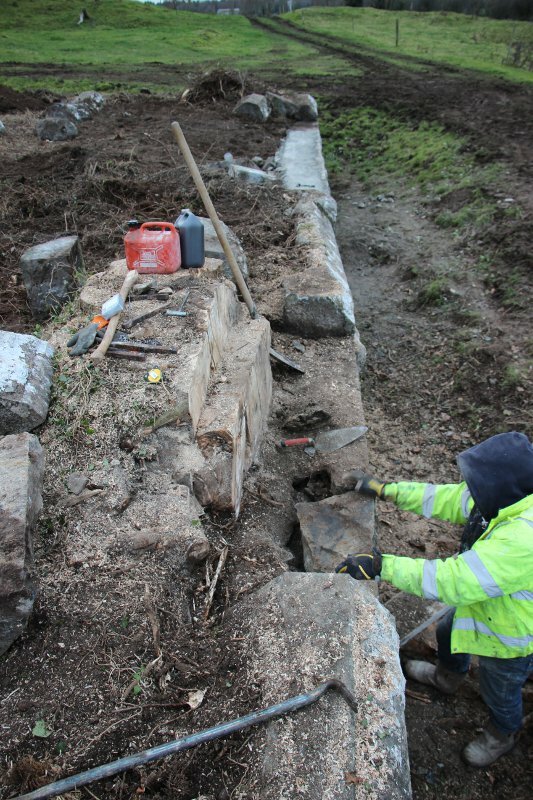 Some of the enclosing masonry walls had been dislodged by tree roots stones were numbered and taken down. 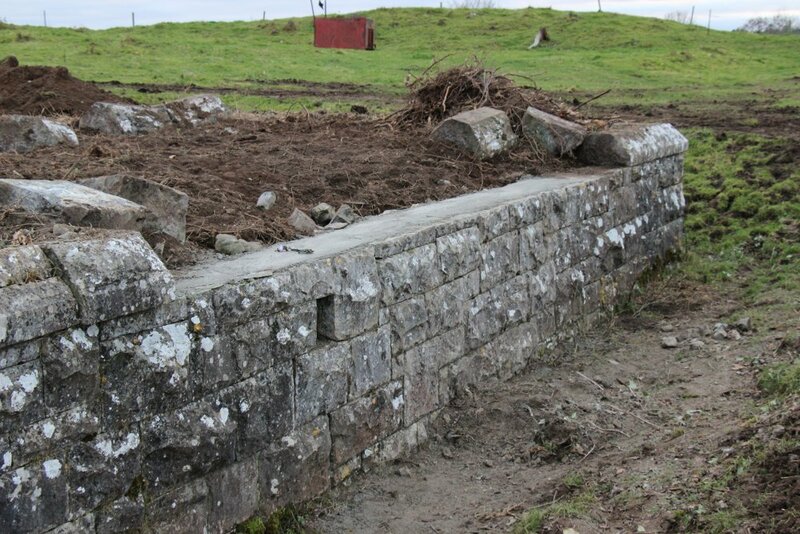 Stones were re-bedded using 1:3 lime to sharp sand mortar. 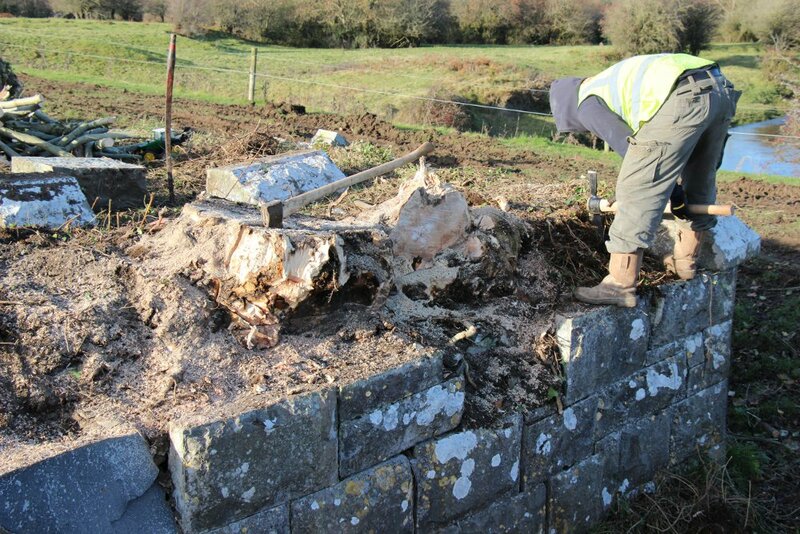 The work was protected using hessian in order to allow the lime mortar to cure slowly and to set without shrinkage. 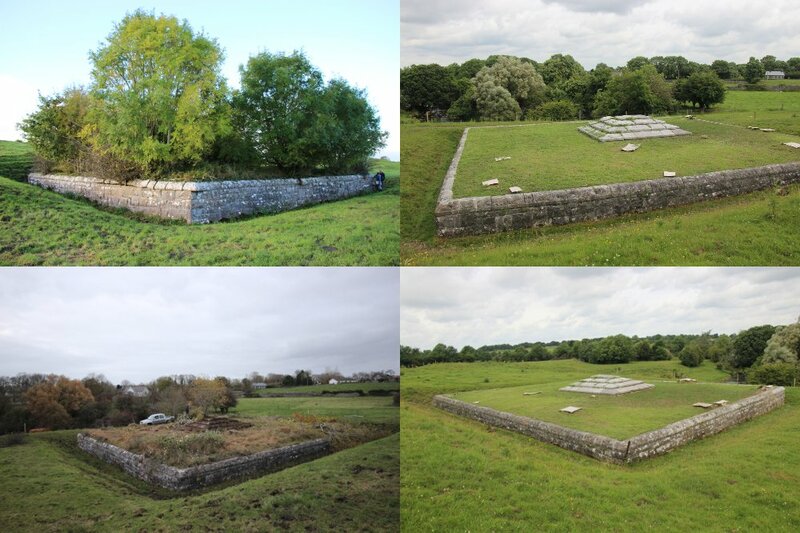 Small ferns and grasses were not removed as they were not causing any damage to the monument. 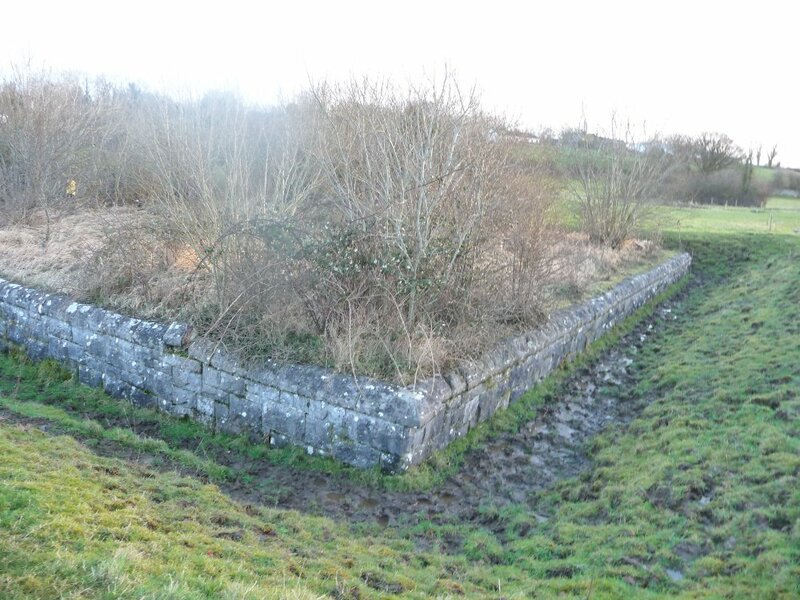 Work commenced in September 2013 and was completed in November 2013.